… I shall give you another cat photo! Our jaunt to the veg shop was more exhausting than usual. The town was packed and only the main road was clear of snow. We did manage to buy some fruit and veg and I also found a large ball of chunky cream wool for 75p and a pair of knitting needles for 30p in one of the charity shops. I was looking for cushions inners but they wanted ridiculous money for cheapy polyfill ones! On our return, Munchkin had his lunch and then slept until 4.30! So our lovely walk has been postponed until tomorrow. We did venture out to meet J off the train so some snow-fun at least. 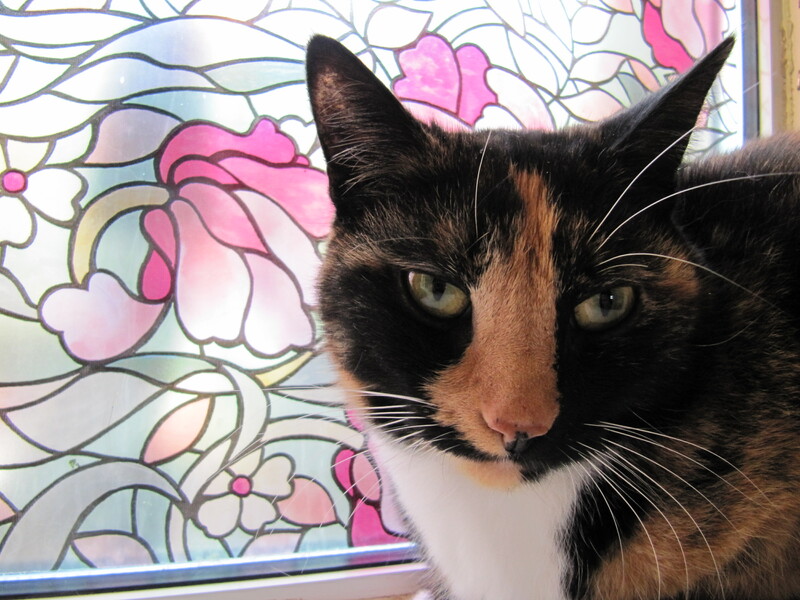 Anyhoo, here is a photo of Pixie, one of Bilal’s sisters. She can be quite shy but rolls over when you scratch her ear. After getting the majority of ours girls spayed she was the only one to have problems with the stitches and spent a whole two weeks living in our bedroom with a cone on her head and very much enjoyed sleeping on our bed the whole time! Right, I’m off to do some damage to a WIP!